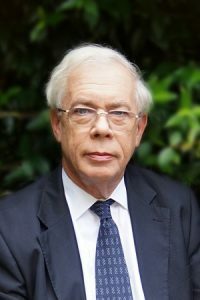 John Kay is one of Britain’s leading economists. He is a visiting Professor of Economics at the London School of Economics and has been a fellow of St. John’s College, Oxford, since 1970. He is a distinguished academic, a successful businessman, an adviser to companies and governments around the world, and an acclaimed columnist. His work has been mostly concerned with the application of economics to the analysis of changes in industrial structure and the competitive advantage of individual firms. His interests encompass both business strategy and public policy. John Kay is a Fellow of the British Academy and the Royal Society of Edinburgh. Over the last half century, the evolution of the finance sector has led to the substitution of transactions for relationships. The outcome has been a sector which largely talks to itself, trades with itself, and has increasingly lost touch with the needs of the real economy for financial services. In this talk, John Kay will describe how financialisation came about, identify how finance can improve the efficiency of business and the lives of households, and propose a programme of reform. Regulation, he will argue, has been as much the problem as the solution: what is needed is a new philosophy focussed on industry structure and personal and corporate incentives rather than the elaboration of prescriptive rule books.